We help you build your brand. We help you sell more houses. We know you are busy and keeping up with social media, your website, marketing campaigns and general back office work can be overwhelming for a busy Realtor. Using a virtual assistant can help reduce the work and free up your schedule. While you are meeting clients, showing houses and closing deals, using a virtual assistant is one of the best ways give you more time for the things only you can do. How many more houses could you sell if you had an extra 15-20 hours per month? Two, three, four? With the median price of a home in the USA selling for over $213,000, selling just one to two additional house per year could pay for your virtual assistant. Plus, the expense is likely tax deductible. With all the different social media platforms, it is hard to keep up. Let your virtual assistant handle this for you. We have the tools and technology to pull your social media strategy together to ensure a consistent message across all platforms. We keep you engaged with your audience with relevant content to help you increase leads. Using Google AdWords, Facebook, Twitter, Craigslist and other platforms for broadcasting your listings that might not be integrated with your broker's website? We can do this for you by creating custom templates and post ads on your behalf. We monitor activity and help you measure results. How many meetings do you schedule a week? We know it is a lot. We can handle your schedule and ensure you are always on time. We can manage your website and keep it up-to-date with the most relevant information. This goes beyond just listings. We will also make sure your website is integrated with your social media platforms. Keeping an up-to-date blog should be a part of your online and social media presence. We have experienced assistants that can write, edit and post content for you. Using your own CRM to track leads and client engagement? Have a great tool provided by your broker? We can manage the product of your choice and ensure actions are taken. These solutions are best when integrated with social media and advertising/marketing campaigns – and we can help make this happen. Timely client follow-up is critical – but you are meeting client after client. Wouldn't it be great to know someone was following up on your behalf and ensuring action is being taken? We know you have a lot of listings to keep track of. Let us manage the process for you. You submit the information to your virtual assistant and we take care of the rest. We make sure your listings are broadcast across all your platforms – website, social media, your broker's website, etc. Hundreds of emails a day can be daunting; and, a delayed response could be the difference in closing a deal or not. Let us work behind the scenes to ensure this part of your communication platform runs efficiently. Completing purchase agreements, listing contracts, etc. There is a lot to do. We can securely complete these for you and manage the documents on the back-end in a secured cloud solution. Electronic signatures from clients and easy access to retrieve your information is seamless when you virtual assistant is behind you. Whether you are on the road, or in the office, we've got you covered. Client dragging their feet? We can nudge them too. Ready to see how a virtual assistant can work for you? Our Relationship Manager starts the process by getting to know you during a detailed conversation to understand your challenges and pain points. 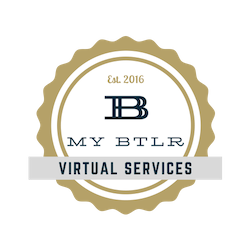 This allows us to match you with the best virtual assistant to serve your needs. Get started by calling us at 866-575-4559 or clicking the link below.